Stunning four-disc set featuring the 34 surviving films from Charlie Chaplin's one-year contract with the Keystone Film Company. 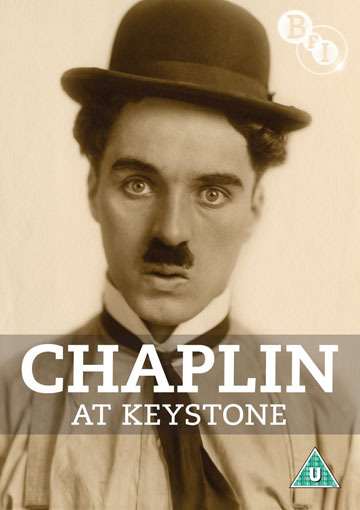 Charlie Chaplin joined Mack Sennett's Keystone Film Company in late 1913 after being seen in Fred Karno's touring vaudeville troupe. After a few initial uneasy steps, his rise was meteoric – making 35 films in a single year, directing more than half of them, and developing his much-loved persona, the Tramp. This stunning four disc set, featuring the 34 surviving Chaplin Keystone films (including the feature Tillie's Punctured Romance), is the result of an eight-year international collaboration to reconstruct and restore the films between the BFI National Archive, Cineteca Bologna/L'Immagine Ritrovata and Lobster films, with the cooperation of UCLA Film and Television Archive, Library of Congress, and the support of Association Chaplin. The films in this collection are presented with new musical accompaniment by Eric Beheim, Neil Brand, Antonio Coppola, Frederick Hodges, Stephen Horne, Robert Israel, Rodney Sauer, The Mont Alto Motion Picture Orchestra, Ethan Uslan, and Ken Winokur with Tillie's Nightmare. Charlie's White Elephant (1916, 6 minutes): an animation by John Colman Terry and Hugh Shields featuring Chaplin.